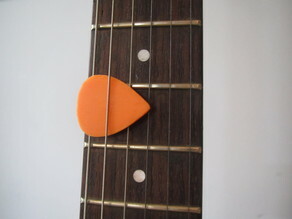 This is a nice, sturdy guitar pick. It is the normal shape and thickness. Works very well.